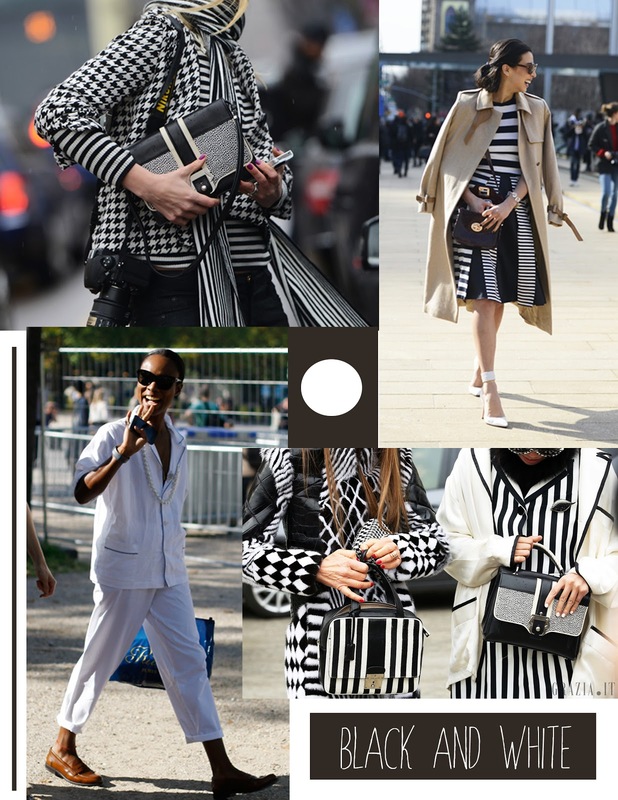 Its impossible to ignore the black and white craze going on. It was big in the Louis Vuitton, Alexander Wang, Celine, Prada S/S collections, and its in every store display currently. This trend is amazing for so many reasons beginning with versatility. I don't know one person who doesn't have a white shirt and black pants. So there you go, there if your first trend appropriate outfit! Now you can take it to the next level by wearing both pieces with a b&w print on them. There is no such thing as b&w prints that clash, therefore you should go crazy. Wearing any and all of your black and white prints together, and your outfit will look as amazing as the pictures below. Add a pop of color on your nails and your a trendsetter. Another reason why this is so amazing is because you can buy all the black and white stuff you want and regardless of when this craze ends you can continue to wear them if not together but separately, or maybe with the next craze (ex. white top with colored jeans). Black and white weren't invented yesterday. People have always been wearing all black or all white outfits. Its the fun mixing and matching (see below) that have me inspired to create new looks based on this trend.